At least 71 people sickened in Nordic EU countries, but the exact food source is still not certain. 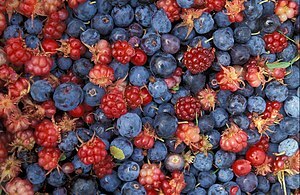 Seems that the source might be frozen berries, because a lot of victims declared the assumption of this kind of food. Hepatitis A is a severe liver infection and can be prevented by vaccination, or by cooking the berries for at least 1 minute says the Swedish Institute for Communicable Disease Control. The berries may have been responsible for 22 cases of Hepatitis A only in Sweden so far, and there are at least 36 cases in four countries (Finland, Denmark, Norway, and Sweden). Due to the long product’s shelf life and to the long Hepatitis A incubation time (28-30 days), it’s possible that we will hear of more cases in the next days.